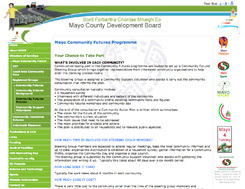 STAR first worked with Mayo Community Forum in 2008 to design a Community Futures Programme for County Mayo. So far 24 communities have been assisted by the programme to prepare Community Action Plans – with 4 communities taking part in the programme each year. We have supported the programme by training and mentoring local ‘community support volunteers’ to work with communities, providing our Community Action Planning tools and templates, and some hands on technical assistance. Our aim is to build local capacity to carry out Community Action Planning so our direct involvement has diminished over time – and now its great just to hear how they are doing. 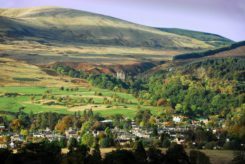 As delivery partners with the Coalfields Regeneration Trust in Scotland, we developed and implemented the Coalfields Community Futures Programme. The programme is aimed at supporting ex coal mining communities to develop community capacity and attract new funding – with a focus on assisting communities to prepare Community Action Plans, build local partnerships, networks and organisational capacity, and fund early action projects to help demonstrate success. 13 communities took part in the initial 3 year programme, with some very positive regeneration activity. CRT are now expanding the programme to enable more communities to take part. “As Secretary of the Futures Group and the Community Council I think that the community action plan has been instrumental in bringing all the local groups together in the implementation of the priorities stated in the plan. The general public’s interest and participation in local projects and community events is very encouraging throughout the local area. There is a sense of community spirit that has been missing for a long time. I think that the regeneration of the Dalmellington Parish is now underway and look forward to a bright future”. Funding was secured to employ a part-time High Street Development officer, which has resulted in a Townscape Heritage Initiative, improvements to signage, parking and heritage interpretation. As a result of the success of the process in Dalmellington, East Ayrshire Council were keen to offer the same process and opportunity to all communities in the area. Funding was secured from Ayrshire Leader to enable STAR to design the programme, and to train and support East Ayrshire Council’s Vibrant Communities team. We worked directly with the first six communities, including Kilmarnock town centre. We are delighted to keep in touch with the team as they continue with the programme throughout East Ayrshire. 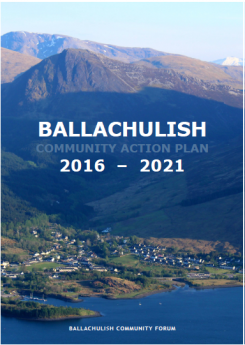 With funding from the Lottery Awards for All, and Forestry Commission Scotland, we were asked to support the small Highland community of Ballachulish to prepare their first Community Action Plan in 2015. Over the winter months, we helped set up Ballachulish Community forum, a grouping of local organisations led by the Community Council and the Community Association to carry out a household survey, work with the local school, hold numerous community conversations and host a very successful community futures event. The community are using the Action Plan to influence the Local Development Plan, negotiate with Forestry Commission to create a forest crofts initiative, and develop a community hydro scheme on the River Laroch. Funded by Local Energy Scotland, we worked with Dollar Community Council and other local organisations and residents in early 2016 to assist them in preparing a new 5 year Community Action Plan. Although perceived as a prosperous, successful community, the Community Council and others were increasingly concerned at the gradual decline of businesses and local services. With the closure of the local hotel and pub, and the imminent closure of the post office and loss of the bus service, something had to be done! We focussed on strengthening community participation, as one of the hopes was that new people would get involved in community action to turn things around in the town. The result was amazing – 648 surveys completed from 1,245 households, over 100 people involved in “community conversations”, 420 people coming out to our Community Futures event. As a result, the Dollar Futures Development Trust is being established to support all the priorities in the Action Plan. The remote and dispersed community of Tweedsmuir is in receipt of windfarm community benefit funding, which is set to increase over the coming years. The Community Council is recently formed, having broken away from the larger Upper Tweed Community Council. The Community Development Trust has worked towards ownership of the historic Crook Inn as a catalyst for regeneration of the area. With funding secured from CARES, we worked with the community over a period of 6 months in 2017 to carry out community engagement to identify the vision and strategy for the area over the next 5 years. The Community Action Plan was informed by strong community participation and is being used by both organisations to secure funding and support for priority projects. We designed and helped to implement a programme of Community Action Planning for the 24 communities in the Loch Lomond & Trossachs National Park. 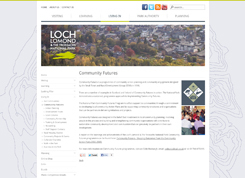 The design work was carried out in 2001 and brought together a steering group of communities and agencies which we helped to formalise as the Loch Lomond & Trosachs Community Partnership. We then worked with the Partnership over an 18 month period to prepare Community Action Plans in each community. To do this we helped train local Community Agents – who worked with us in preparing the Action Plans. The agents were managed by a Community Futures Programme manager employed by the National Park Authority. Following on from the preparation of Community Action Plans we helped 20 communities to establish Community Development Trusts so that they could implement some of the priority projects that they had identified. We also helped establish 4 area networks which bring communities together within their areas to consider issues and projects of common interest. We have subsequently supported a further round off Community Action Planning in the National Park in 2007/8 and provided training for the Trusts Boards of Directors and National Park staff. The Partnership continue to support communities in the Park with a rolling programme of Action Planning and also lead on the development of Park wide projects that have emerged as common themes from the Community Action Planning work. We worked Saline & Steelend in Fife in 2011 to prepare their Community Action Plan, and helped them to get underway with their priority projects by setting up a number of action groups, such as the playpark group, the heritage group and the communications group. 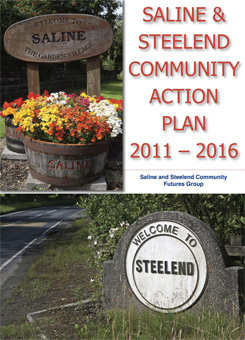 With our guidance and support, the Saline and Steelend Community Development Trust was established as a SCIO in 2013, and have taken forward several projects identified in the Action Plan. The most recent of these is to look at the possibility of taking ownership of the Saline Community Centre from Fife Council through a purchase or asset transfer. The Trust host regular “Talking Tables” events to encourage participation in decision making. We set up Cambusbarron Community Development Trust in 2012, after carrying out a study and preparing a Gillies Hill Action Plan. 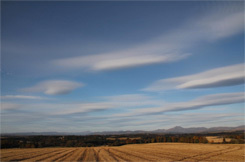 Gillies Hill is an area of historic, environmental and recreational significance that lies behind the village of Cambusbarron on the outskirts of Stirling. The Hill is all in private ownership with the constant threat of re-activation of stone quarrying or other commercial development. The Community Council and the campaign group “Save Gillies Hill” jointly commissioned STAR to carry out the study, and then to set up the Developnment Trust. We have continued to be involved in a voluntary capacity, and are delighted that the Trust was successful in 2017 in getting through the first stage of a Scottish Land Fund application to purchase 65 hectares of Gillies Hill, securing it for futures generations. 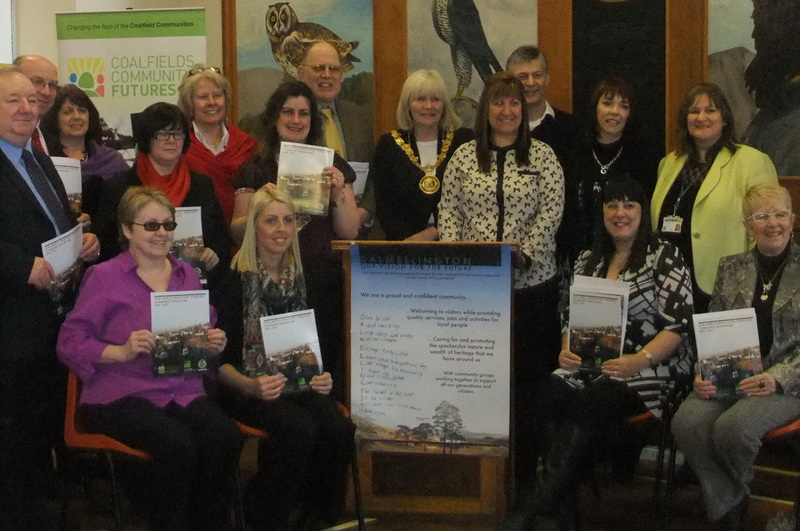 Moodiesburn was one of the communities participating in the Coalfields Community Futures Programme. We helped them establish a local planning steering group, prepare their Community Action Plan, and then establish the Moodiesburn Community Development Trust (as a SCIO), and to secure funding for some initial projects (play area, youth café, newsletter, web site, village gateways). We assisted the partnership to alter its constitution from an unincorporated association with charitable status to being a charitable company limited by guarantee. This is a relatively complex procedure as it involves a transfer agreement between the old and the new organisation and the dissolution of the old organisation once the new one has been established. The change was needed to provide limited liability status for an organisation that was employing people and managing significant funds. Scottish Natural Heritage and SEPA commissioned STAR Development Group and LUC to undertake this project in response to the Scottish Government Land Use Strategy, to help demonstrate the value and benefits of taking a holistic approach to land use planning. STAR’s role has been to establish and support the work of a Stakeholder Panel of 36 people representing different interests in the Carse of Stirling. This has included designing and delivering five workshops leading to the development of an action plan for the area. We subsequently worked with the Panel to become established as the Carse of Stirling Partnership, a SCIO managing land for public benefit. We designed a process for stakeholders in the Carse of Gowrie to come together to jointly consider how to respond and adapt to climate change. We brought together a local ‘Climate Change Panel’ and facilitated a series of meetings that led to the production of an Adaptation Action Plan. The Group have stayed together and are working to implement the priorities within the plan. 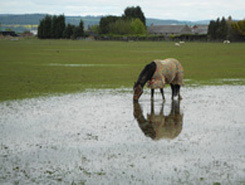 The work was carried out for Perth and Kinross and Sniffer (Adaptation Scotland), and was done in partnership with Land Use Consultants. 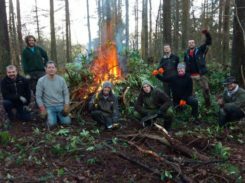 The project built on previous work we had carried out together for SNH, Sniffer and a number of local authorities to design and pilot ways of involving communities in considering climate change. We carried out a series of focus group meetings across Central Scotland for Central Scotland Forestry Trust, SNH, and Central Scotland Greenspace to ascertain views of target groups (people in SIMD areas, unemployed, carers). The focus group meetings identified what open spaces people used, how they used them and what benefits derived from their use, what barriers were to use and how they could be overcome. This contract built on previous work we have done on testing people’s attitudes, views and perceptions – other similar work has looked at perceptions to landscape change. We helped Dunblane Development Trust to access Investing in Ideas funding so that they could undertake a feasibility study and business plan to demonstrate the future sustainability of the Braeport Centre in community ownership. 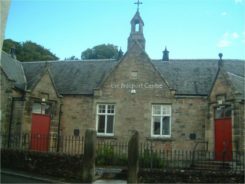 The Braeport Centre has been owned by Stirling Council for 70 years, but managed by the DDT for the last 10 years as a social and recreational facility. In need of major refurbishment, DDT saw the opportunity of taking the Braeport Centre into community ownership, through an asset transfer from Stirling Council. The council required to see that DDT could run it as a sustainable venture, for continued community benefit. We carried out community and stakeholder consultation, ran several workshops, secured the services of an architect to produce designs and costings, and produced the final Business Plan in 2014. Since then DDT signed a 25 year lease with the Council, secured funding from DTAS for a paid development officer, have now been offered ownership of the building, and made a successful funding application for £93,000 to the Climate Challenge Fund. The feasibility study and consultation was aimed at identifying the need and opportunity to establish a Trust that would be able to take on some of the local authority’s work in developing access, improving biodiversity and protecting and enhancing local heritage. The study recommended the establishment of the Trust following detailed community and stakeholder engagement. The Trust is now being set up and funding has been put in place for the appointment of a 3 year post of Executive Director. We have worked with Fullarton Community Association in Irvine over the last 2 years to support them in preparing a Feasibility Study for their future development, including a new community centre. 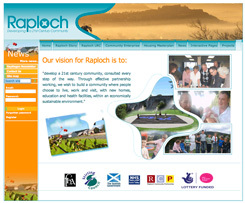 This led successfully to the transfer of land from North Ayrshire Council to the Community Association, and allowed them to secure funding from the Big Lottery and North Ayrshire council to have designs prepared for the new Centre, which will include primary care and health services as well as social and educational facilities. We then helped the Association to prepare a business plan for the new Centre and to make major applications to the Lottery and other funders. 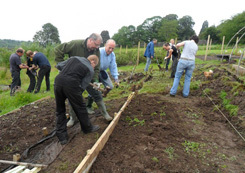 Green Routes Ltd based in the walled garden at Gartmore House near Aberfoyle is a social enterprise which provides horticultural training for young adults with learning disabilities. We worked with the board and volunteers to prepare a comprehensive 5 year business plan for the future development of the garden and its services, and to research and make funding applications for the garden expansion.